Los Angeles is the home of the world’s brightest stars, but the City of Angels is also home to world-renowned museums that art enthusiasts from all over take time to visit. With museums that offer epic views and free admission, these art institutions are not to be missed. Located in Exposition Park, the 44,000-square-foot space houses a range of artwork from landscape and portraiture to modern and contemporary art. 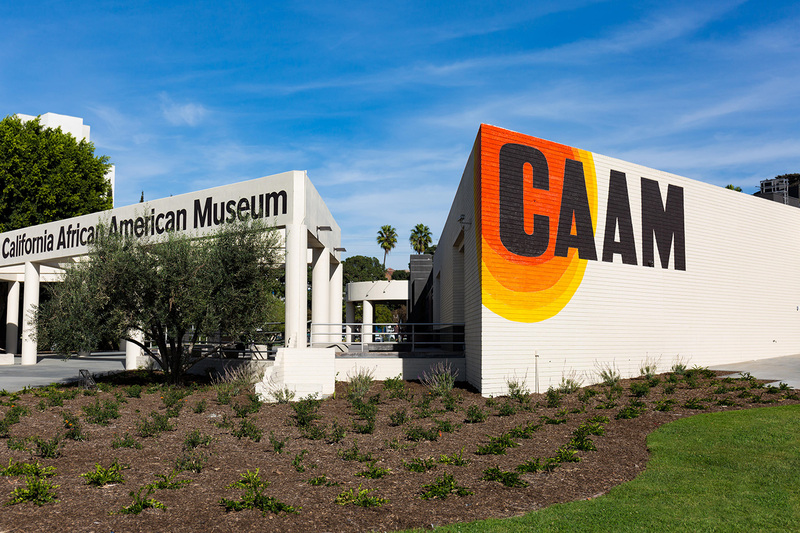 If you want to see beautiful art while bopping to music from local DJ’s — the CAAM hosts Can’t Stop Won’t Stop from 7:00-9:00 on the last Wednesday of the month. The architecture and breathtaking view are two of the most unique aspects of the Getty. The museum also hosts a world-renowned permanent collection of works from European and American history, while showcasing contemporary exhibitions like Icons of Style and LA #UNSHUTTERED. The Getty is closed on Mondays but opens at 10 a.m. on Tuesday through Sunday with extended hours on Saturday. If you’re a contemporary art lover, The Broad’s 2,000 piece collection won’t let you down — especially since general admission is free. With two floors of covered in paintings, sculpture, and mixed media pieces from artists like Jeff Koons, Roy Lichtenstein, and Andy Warhol, you’ll be glad you stopped by. If you like to plan ahead, you can make your reservation here. Founded by the Marciano brothers (creators of the GUESS? brand), the MAF features the work of rising artists from all art mediums. Admission to the foundation is free, but be sure to take note of their hours as they are only open Thursday through Sunday. If you’ve spent any time scrolling through Instagram, you’ve likely seen the Urban Light Installation at LACMA. Though this a perfect Insta-photo opp, LACMA is a museum not to be missed. With a collection of over 135,000 pieces and welcoming over 1.5 million visitors per year, LACMA is the largest art institution in the Western United States. If you’re planning to visit LACMA, be sure not to schedule a visit on Wednesday as that is the one day a week they are closed. If you’re a lover of street art, architecture, and art galleries that reflect the talent of Los Angeles, the Downtown Arts District is a must see. With galleries like A+D feeding the architecture lover and spaces like Art Share L.A. giving emerging artists a place to shine — there is something for everyone. DTLA’s Arts District is also filled with over 100 murals. If you want to take a free guided walking, download the Detour app or the Mural Map of LA!